E-JUST, Library - Building (13). There is a growing interest in developing resource-efficient manufacturing processes. This is due to the growing demand, continuous reduction in natural resources and rapid changes in customer needs. Traditional manufacturing processes such as machining and forging have failed to address those challenges. Introducing high temperature materials such as nickel-based superalloys adds more difficulties in terms of shaping these materials. Netshape manufacturing has been introduced as a possible solution for challenges that face existing processing technologies. This presentation will provide insights into the advanced manufacturing routes for netshape manufacturing. In particular, the presentation will explore the recent development in additive manufacturing, hot isostatic pressing and incremental sheet forming. The presentation will also provide insights into the utilisation of numerical modelling such as finite element analysis and computation fluid dynamics to advance these processing technologies. The application of these netshape manufacturing approaches in aerospace, defence and medical industries will be also covered. Dr Khamis Essa is Associate Professor and the Director of the Advanced Manufacturing Lab at the School of Engineering, the University of Birmingham. He is also the academic lead for the University of Birmingham campus in Dubai. 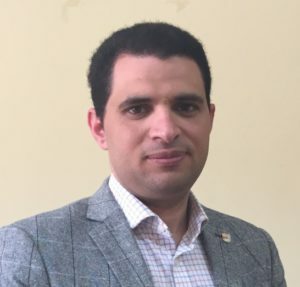 Dr. Essa holds PhD in Mechanical Engineering from the University of Birmingham (2011), BSc and MSc degrees from Alexandria University, in Production Engineering. His research is focused on advanced manufacturing technologies for instance metal/ceramic 3D printing, powder metallurgy and sheet metal forming. He is leading a number of research projects funded by EU, UK research councils and industry. His research portfolio has a research income in excess of £12M. He published more than 70 journal and conference papers, one text book and two patents. Dr Essa holds Honorary Professorship from the Al-Hussein Bin Talal University, Jordan. He is Charter Engineer (CEng), Member in the Institute of Mechanical Engineers (IMechE) and Fellow of the Higher Education Academy (HEA). Dr Essa is also setting on the editorial board of three journals.